If fungus and mold have begun living in your home, call the mold removal Homestead operation at 911 Restoration of Miami right away and we will do whatever it takes to completely remove the potentially harmful substance. Our mold removal Homestead technicians are IICRC certified, so when you hire us you know you are getting the most capable services in the industry. We encourage you to contact us the moment you begin noticing signs of mold, no matter what time of day or night it may be, because we are available 24/7/365 to take you call. So, call our mold removal Homestead agents today and we will go the extra mile for you by providing you with a free visual mold inspection. Even though most homeowners are concerned with how mold affects the aesthetics of their home, the main concern should be how it is impacting the health of everyone living inside the property. With so many years of experience eradicating mold from homes, we know that fungus is nothing to mess around with. It needs to be properly handled and tested in order to be sure that it is not dangerous to your health, or anyone else living inside the home. If you inhale particles of mold it can cause those living with the substance to experience symptoms similar to allergies that may in time turn into respiratory issues such as asthma. 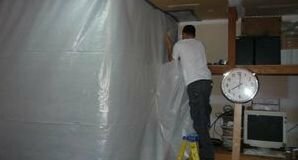 Our mold removal Homestead specialists are qualified to thoroughly banish all traces of mold from your household, making it a safe place for your family to live. Call us as soon as anyone living in the household begins exhibiting any physical symptoms or notices visual signs of mold growth, and we will do whatever it takes to decontaminate the area quickly. As important as it is for our mold removal Homestead pros to get your home sanitized after mold has been discovered on the premises, we care most about your wellbeing. With so many years of experience in the industry, we completely understand how this situation can be overwhelming and frustrating, which is why when we arrive on the scene we will handle everything. We simply want to make things as easy as possible for you, and our mold removal Homestead crew makes it their responsibility to take charge of all aspects of the restoration work, from the mold cleanup to assisting you with understanding your insurance policy. If you are unsure how to file your insurance claim, you can leave it to us to file it for you, ensuring that your provider gets all the information needed to get you the best coverage possible. 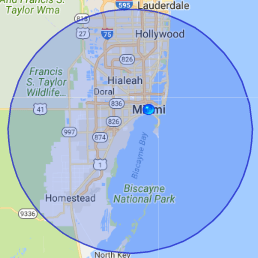 Homeowners can count on us to always offer affordably priced mold and fungus removal services, so call our mold removal Homestead unit at 911 Restoration of Miami and we will get you on track to a fresh start.